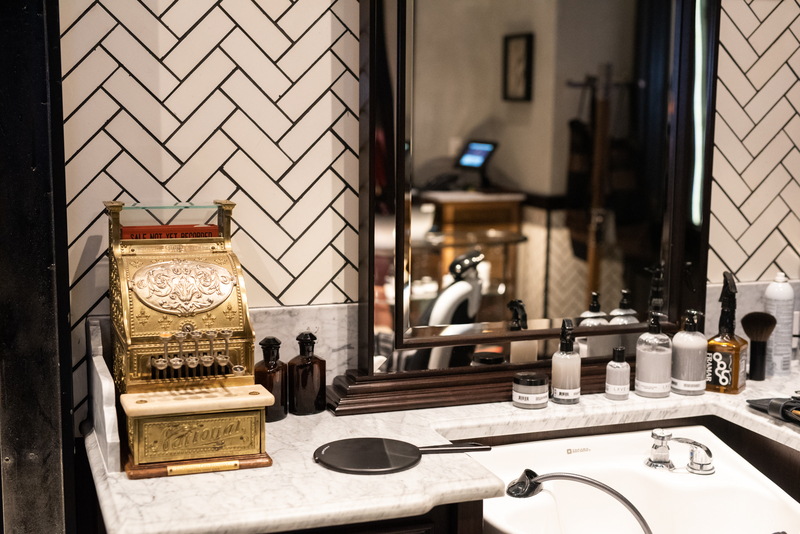 Clique Hospitality is launching one of their newest, most anticipated projects – the Barbershop, a speakeasy located in the Cosmo of Las Vegas. The Barbershop is a world where whiskey culture and men’s grooming collide to become the hottest speakeasy on the strip. Still, even with all the planning that has gone into the Barbershop, it’s the talent behind the concept that’s fueling such a tremendous amount of anticipation. This brings us to Sosa, the creative force and Master Barber behind the barber chair at the Barbershop. Sosa brings enormous artistic talent to the world of men’s grooming and has made Vegas his home and playground for perfecting his craft since 2013. As someone who is invested in his craft and his community, Sosa brings something unique to luxury barbering. So, what’s the story behind the man who’s about to elevate men’s grooming on the strip? Sosa invites us all to sit down with him and get better acquainted. How and why did you become a master barber? I became a barber as a lack of opportunity in the job market at the time. Later on I developed a passion for the confidence that people get after a haircut. The title “master barber” denotes experience. In the state of New York, it means you have been a licensed barber for at least 5 years. Who has been your inspiration in developing your artistic identity? What current trend in men’s grooming are you most fond of? If you could give men today one piece of style advice, what would it be? Men, use a blow dryer. What is the first thing you teach the barbers you mentor? First thing, I instill the value of time. There’s a revival of whiskey culture and gentlemen’s grooming. How would you say the two are connected? I don’t think whiskey has ever been suppressed. It has been a fan favorite for as long as I can remember. The same with men’s grooming. The difference today is social media. Platforms like Instagram are helping barbers showcase incredible businesses, and I feel like the population is just catching on. There’s a reason that barbering is the second oldest profession in the world. Barbers often build a base of regular clientele but the bar crowd in Las Vegas is more ephemeral. 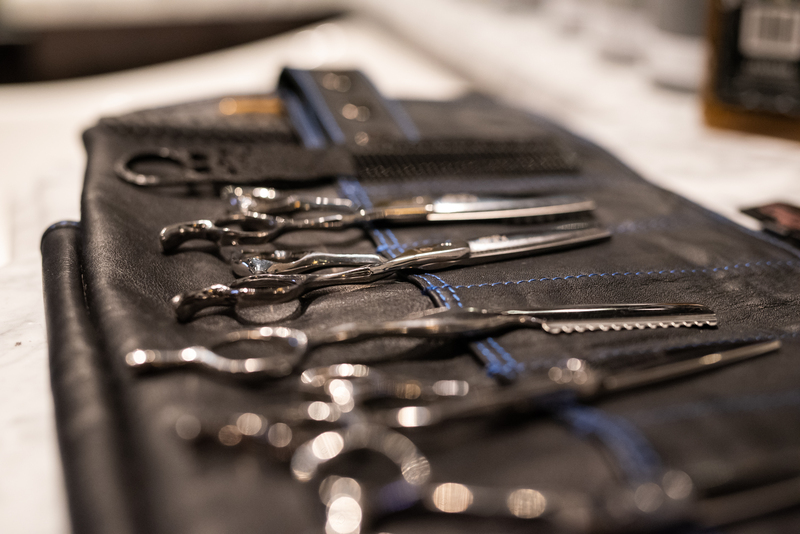 Do you provide the neighborhood barber vibe to gentlemen that are just passing through, or does the Barbershop strive to cultivate a different image? I think the neighborhood barber vibe will be a mistake to provide on the strip. People that stay at the Cosmo aren’t looking for a home type of environment. They’re looking for the flashing lights. The same will hold true for the Barbershop. What’s the most popular service you provide? It’s called the LXVE experience. It includes a haircut, shave or beard detailing, and a facial. When a gentleman sits down in your chair at the Barbershop, can you recommend a drink based on the service he’s asking for? I think the recommendation should come from the personality. Bartenders are known for playing the role of “therapist” for their patrons. In the environment of the Barbershop, have you found that as a barber you’ve taken on the role of a listening ear and confidant of your guests? What outrageous stories have you heard? I would love to share but there’s such a thing as a barber’s code – not to mention a legal-ish barber/client privilege. In a city like Las Vegas, where everything becomes larger than life, Sosa is not only a man of talent and creative genius but also maintains impenetrable integrity and professionalism. A few final questions give us a glimpse at his underlying commitment to quality, integrity and his plans for the future. Your website mentions your commitment to community outreach. How have you been able to stay in touch with that vision in Las Vegas? I’ve definitely been able to stay in touch with it. Throughout the years we’ve done things that I’m very proud of. With that said, I believe that helping in the community should never be used for publicity. If you could cut, style or shave anyone, who would it be and why? Will Smith. As for the why, take a look at his Instagram. You’ve enjoyed a successful career and have your sights set on the future. What’s next for you? The LXVE Alchemy product line – which has already been developed but is landing for major distribution. 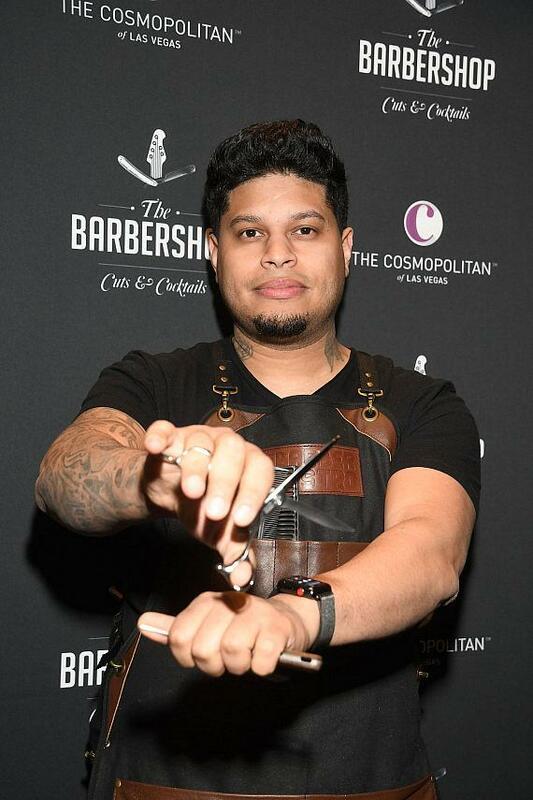 Sosa brings his incredible talent to the Barbershop in Las Vegas, and he’s excited about being a part of your Vegas speakeasy experience. If you’d like to know more about Sosa, he encourages you to visit his website. The Barbershop is expected to be the hottest whiskey bar on the strip. The next time you’re in town, make a point of visiting Sosa and the crew of the Barbershop, located in the Cosmo.